It is always a delight when you find an upscale and trendy restaurant in an unexpected place. About 20 minutes from downtown Jacksonville, Fla., a new restaurant named Zeta is making a name for itself in Jacksonville Beach. If you like music, over sized tapas plates and a variety of creative cocktails, this is a place you've just got to try. Zeta is the creation of Mark Vandeloo, General Manager of the historic Casa Marina Hotel in Jacksonville Beach and Executive Chef Aaron Webb. Their desire was to create an "environment infused with trendy tapas and delightful drinks with a late night, urban fusion atmosphere." Zeta has a very open and roomy feel with large windows and even outside seating. Guests can sit at high-top tables, in comfortable padded booths or around the double-sided bar that highlights the center of the floor space. Retro photos fromJacksonville Beach's history adorn the walls. For those who enjoy music, Zeta has live bands on weekends and DJ’s providing entertainment for late night guests. "Zeta has been open about 15 weeks. We offer gourmet pizzas, gourmet nachos, hipped-up bar food and sharing plates. I am still experimenting with our menu and we have a new, tweaked menu coming out soon. I love creating and playing with food. It inspires me and our cooks," Executive Chef Aaron Webb told us. The food at Zeta is an eclectic collection of items served in larger-than-normal portions. "We based our menu around the big, beautiful stone oven that was already there." Webb said. We sampled Zeta's Habanera Margarita. It was a very interesting new take on an old classic. The Habanera Margarita had a pleasant, spicy bite that lingered well after the swallow. Our Starters portions were huge. We ordered Italian Nachos and Mahi Bites. The Italian Nachos plate could have easily been shared with 1 or 2 friends. The Mahi Bites were an excellent choice as well. The coating was spicey and a perfect counterpart to the mild Mahi. Not only is Zeta a great place too eat, it gives Executive Chef Aaron Webb a chance to give back to the community and to help a new generation of chefs. "I usually use a couple of interns from the culinary school," Webb told us. Chef Webb's food is so popular, he has been asked to help out at the nearby Navy base. "I help the Navy with the menus for their officers. I get to go on the ships. It is really cool," Webb said. Zeta is a great place to come with a few friends, sip cocktails, listen to good music and share a plate or two of good food. 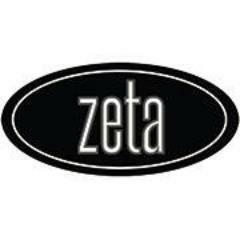 Zeta is located at 131 1st Ave N. Jacksonville Beach, Florida 32250. Visit http://zetajax.com for more information.